This site aims at summarizing what is currently known about (mostly) felid purring, i.e. the “trademark” sound produced by most species of cats, only excluding four or five of the biggest cats, the so-called “roaring” cats (lion, tiger, jaguar and leopard). Purring.org is maintained by the (computational) linguist/phonetician/speech technologist/acoustician/musician (etc) Robert Eklund and information and sound files can be found at his other site http://ingressive.info or by clicking on the Wildlife button on his homepage. Caine at the Dell Cheetah Centre, Parys, South Africa in December 2010. Note that a film clip is found on YouTube or below. The following text is basically lifted from Eklund, Peters & Duthie (2010), i.e. the paper presented at the Swedish Phonetics Conference at Lund University, 2–4 June, 2010, and is consequently co-written with Gustav Peters and Elizabeth D. Duthie, i.e. Eklund, Robert, Gustav Peters & Elizabeth D. Duthie. 2010. An acoustic analysis of purring in the cheetah (Acinonyx jubatus) and in the domestic cat (Felis catus). In: Proceedings of Fonetik 2010, Lund University, 2–4 June 2010, Lund, Sweden, pp. 17–22. The term ‘purring’ has been used liberally in the mammal vocalization literature, and an exhaustive review is given in Peters (2002). 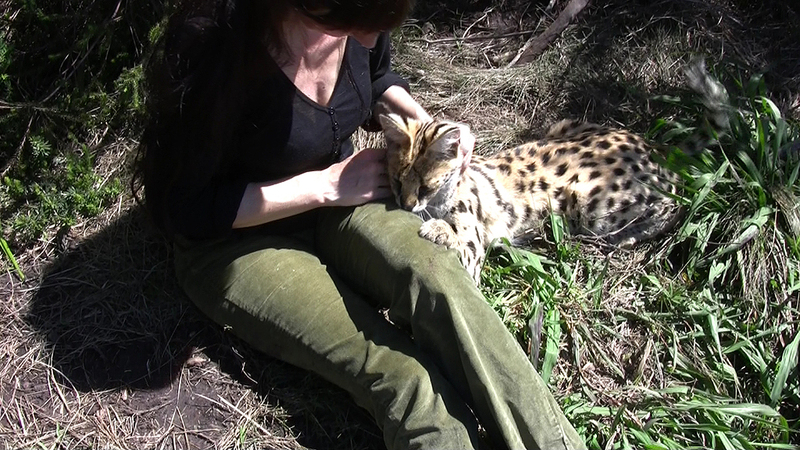 Using a definition of purring that continuous sound production must alternate between pulmonic egressive and ingressive airstream (and usually go on for minutes), Peters (2002) reached the conclusion that until then only ‘purring cats’ (Felidae) and two species of genets (Viverridae sensu stricto), Genetta tigrina, and most likely also Genetta genetta, had been documented to purr. The subdivision of the Felidae, the cat family, into ‘purring cats’ on the one hand, and ‘roaring cats ’ (i.e. non-purring) on the other, originally goes back to Owen (1834/1835) and was definitely introduced by Pocock (1916), based on a difference in hyoid anatomy. The ‘roaring cats’ (lion, Panthera leo; tiger, P. tigris; jaguar, P. onca; leopard, P. pardus) have an incompletely ossified hyoid, which, according to this conception, enables them to roar but not to purr. On the other hand, the snow leopard (Uncia uncia, or P. uncia), as the fifth felid species with an incompletely ossified hyoid, purrs (Hemmer, 1972). All remaining species of the family Felidae (‘purring cats’) have a completely ossified hyoid which enables them to purr but not to roar. However, there is no well-founded and unequivocal basis for a classification of the species in the family Felidae according to the absence/presence of purring and roaring, respectively, and differences in hyoid anatomy. Weissengruber et al. (2002) decidedly argued that the ability of a cat species to purr is not affected by the anatomy of its hyoid, i.e. whether it is fully ossified or has a ligamentous epihyoid, and that, based on a technical acoustic definition of roaring, the presence of this vocalization type depends on specific characteristics of the vocal folds and an elongated vocal tract, the latter rendered possible by an incompletely ossified hyoid. The current classification of the Felidae is based on molecular characteristics (Johnson et al., 2006; O’Brien & Johnson, 2007) and groups the clouded leopards (Neofelis nebulosa and N. diardi) – with completely ossified hyoids – together with the five cat species in which it is incompletely ossified. This section serves as a companion to the scientific papers that I and my co-authors have published on felid purring. Besides the papers proper, data files – sounds and video – are found, as well as additional material. Below you find the paper presented at the Swedish Phonetics conference in Lund on 8 June 2015. Nota bene! This paper is very much tongue-in-cheek, and should not be taken seriously but rather as entertainment. Grimaldi’s “Discovery of the Cat Language”: A theory in need of revival (or perhaps not?) In: Proceedings from Fonetik 2015. Working Papers 55/2015, 8–10 June 2015, Centre for Languages and Literature, General Linguistics/Phonetics, Lund University, Lund, Sweden, ISSN 0280-526X, pp. 27–30. Below you find the paper presented at the Swedish Phonetics conference in Linköping on 12 June 2013. Eklund, Robert & Gustav Peters. 2013. 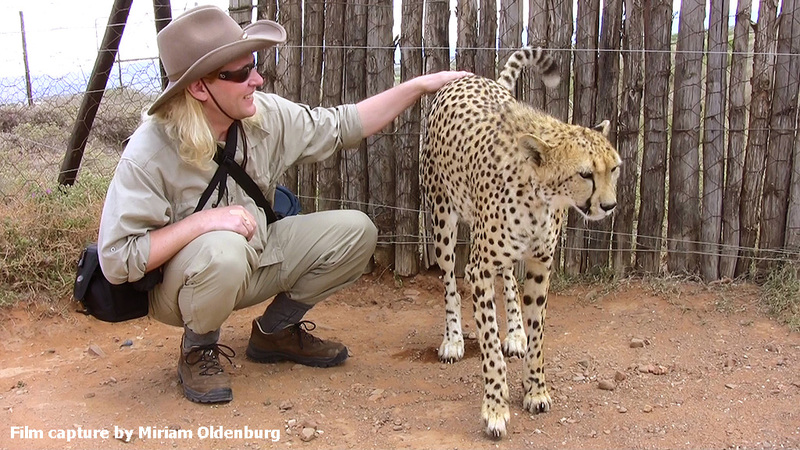 A comparative acoustic analysis of purring in juvenile, subadult and adult cheetahs. In: Robert Eklund (ed. ), Proceedings of Fonetik 2013, the XXVIth Swedish Phonetics Conference, Studies in Language and Culture, no. 21, ISBN 978-91-7519-582-7, eISBN 978-91-7519-579-7, ISSN 1403-2570, pp. 25–28. Plate 1 from the Fonetik 2013 paper. 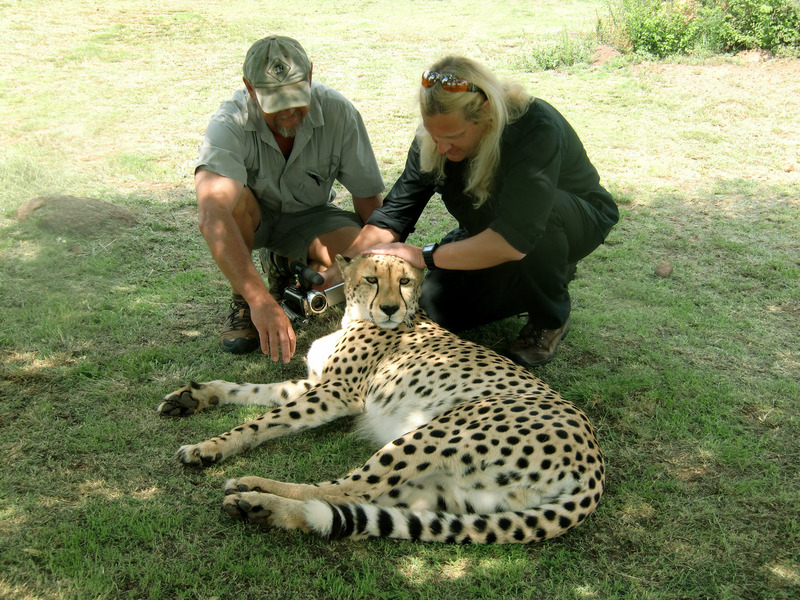 Cheetah breeder Pieter Kemp and Robert Eklund recording the male cheetah Mufasa at the Dell Cheetah Centre, Parys, South Africa. Figure 1 from the Fonetik 2013 paper. 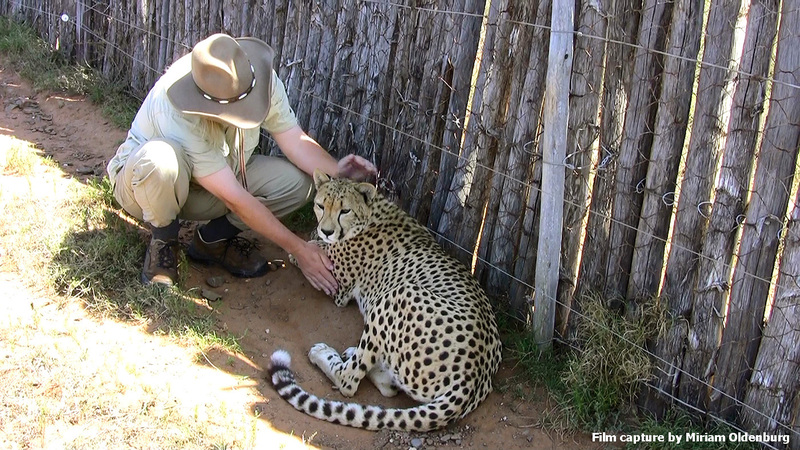 Adult male cheetah Mufasa purring; Egressive and ingressive phases. Film clip corresponding to Figure 1. The film clip shows egressive (breathing out) and ingressive (breathing in) purring phases produced by the male adult cheetah Mufasa. The voice-over during the first two phases is Robert Eklund saying out aloud the words “ut” (out) and “in” (in) with his hand on the cheetah’s chest in order to get an audio synchronization of egressive and ingressive breathing on the recording. Figure 2 from the Fonetik 2013 paper. Subadult female cheetah Tippi purring; Egressive and ingressive phases. Below you find the paper presented at the Swedish Phonetics conference in Gothenburg (Göteborg) on the 30 May, 2012. The film clip is not identical to Figure in the paper, but instead includes six (instead of four) breathing phases. Eklund, Robert, Gustav Peters, Florian Weise & Stuart Munro. 2012. 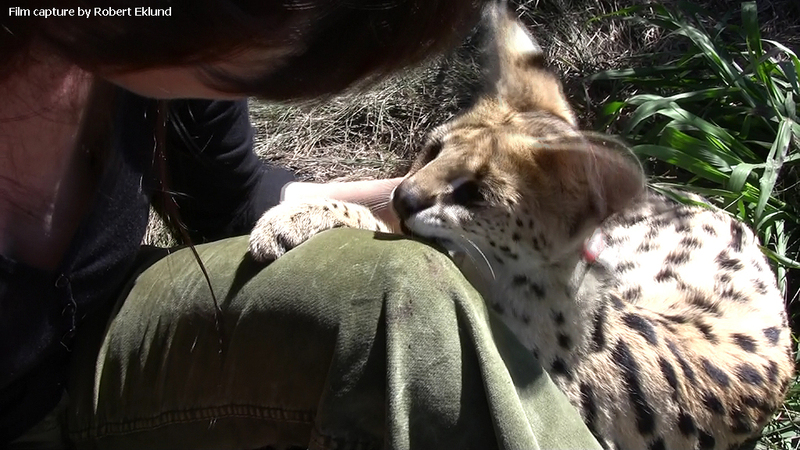 A comparative acoustic analysis of purring in four cheetahs. In: Proceedings from FONETIK 2012. Gothenburg, Sweden, May 30–June 1, 2012, pp. 37–40. The following video clips and sound files served as the basis for the Schötz & Eklund (2011) paper presented at the Swedish Phonetics Conference held at the Royal Institute of Technology, Stockholm, Sweden, 8–10 June, 2011. The paper can be downloaded below. Observe that all film clips are available in high-definition, full-screen format. Schötz, Susanne & Robert Eklund. 2011. A comparative acoustic analysis of purring in four cats. In: Quarterly Progress and Status Report TMH-QPSR, Volume 51, 2011. Proceedings from Fonetik 2011. Royal Institute of Technology, Stockholm, Sweden, 8–10 June 2010, pp. 9–12. Short excerpts from the recording sessions with the four domestic cats Donna, Rocky, Turbo and Vincent. Recorded by Susanne Schötz in her home (in Sweden). The recording dates are given in the film clips. Please observe that all four film clips can be expanded to high-definition full-screen viewing. Below you find sound files of purring produced by the four domestic cats Donna, Rocky, Turbo and Vincent (as shown in the videos above). The following film clips and images were presented at the Swedish Phonetics Conference at Lund University, Lund, Sweden, 2 4 June, 2010. They are also partly included in Eklund, Peters & Duthie (2010), i.e. the paper published in the Conference Proceedings. Below you find streaming film clips and high-resolution images of the figures in the paper, which can be downloaded below. Observe that all film clips are available in high-definition, full-screen format. and in the domestic cat (Felis catus). Short excerpt from the recording session with the (constantly) purring cheetah Caine. Recorded by camera operator Elizabeth D. Duthie and microphone operator, linguist Robert Eklund. 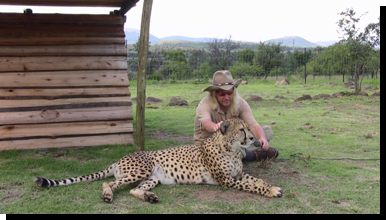 Recording date: 5 December, 2009, at the Dell Cheetah Centre, Parys, South Africa. 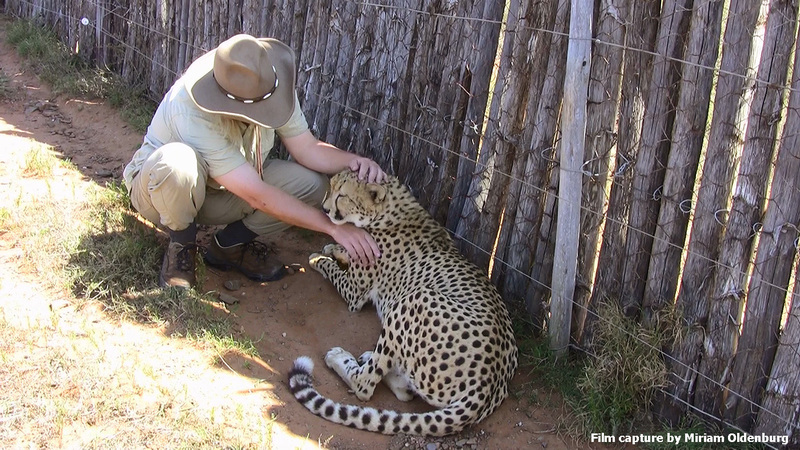 A short film clip showing four phases of cheetah purring, clearly showing the difference between egressive (out-breathing) and ingressive (in-breathing) phases from an acoustic point of view. The phases shown are (in order): egressive–ingressive–egressive–ingressive. A short film clip showing six phases of domestic cat purring, clearly showing the similarity between egressive (out-breathing) and ingressive (in-breathing) phases from an acoustic point of view (especially compared to the cheetah). The phases shown are (in order): egressive–ingressive–egressive–ingressive–egressive–ingressive. A short film clip of waveforms showing phase transitions from egressive (out-breathing) to ingressive (in-breathing) phases in a purring cheetah (top window) and a purring domestic cat purring (bottom window). Not ‘stereo effect’ at the end of the clip. Below you find high-resolution image files corresponding to some of the film clips above. Click on the files, and high-definition images will open in new tab or window. Please observe that the spectrogram images below also include the first four formants, unlike the figures presented in Eklund, Peters & Duthie (2010). Below you find the observed frequency ranges of the purring cheetah and the purring domestic cat described in Eklund, Peters & Duthie (2010), mapped onto an extended piano keyboard (the greyish octave to the left does not exist on modern pianos, but is added to the keyboard). The green colour indicates the frequency range of the purring, and the completely coloured key represents the mean value of the purring. Journalist John Nyzell and editor Tatjana Kontio interviewed me about purring and other felid vocalizations for an article which appeared in Våra Rovdjur, the official organ of the Swedish Carnivore Association (Svenska Rovdjursföreningen. The interview appeared in the no. 1 issue in March 2014 and can be downloaded below, by kind permission of everyone involved. Note that it is in Swedish. I appeared on the Swedish public broadcasting program P4 Morgon (“P4 Morning”) on Thursday, 14 March 2014, where the program hostess Cia Sivertsdotter interviewed me about felid purring and similar vocalizations in other mammals, including alleged purring in both tigers (a non-purring felid) and other mammals. The interview can be downloaded below. I appeared on the Swedish public broadcasting program Naturmorgon (“Nature Morning”) on Saturday, 26 March 2011, where the program hostess Lena Näslund interviewed me about felid purring and similar vocalizations in other mammals, including alleged purring in both tigers (a non-purring felid) and other mammals. The interview can be downloaded below. 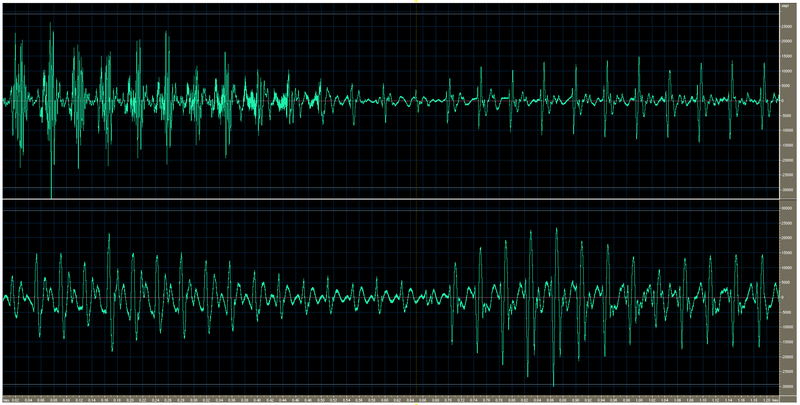 The beep sound indicates where a cut-edit has been made (in the original version I appeared twice, once in the first hour of the program, and a second time in the second hour of the program). I appeared on the Swedish public broadcasting program Språket (“The Language”) on Tuesday, 1 June 2010, where the program hostess Anna Lena Ringarp interviewed me about felid purring. The interview can be downloaded below. 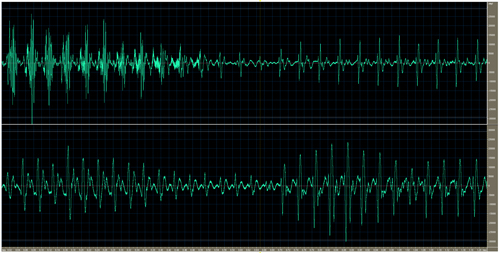 The beep sound indicates where a cut-edit has been made. In February 2014 I was interviewed by Sofia Ström Bernad for the research and internal web pages at Linköing University. This resulted in two articles that can be accessed by clicking the links below. (Note that one of the pages is available in both Swedish and English. Please note that I don’t expect to solve the riddle of purring. I just enjoy studying it. Below you find additional sounds files of purring animals, including another cheetah, a purring serval and also a purring genet. 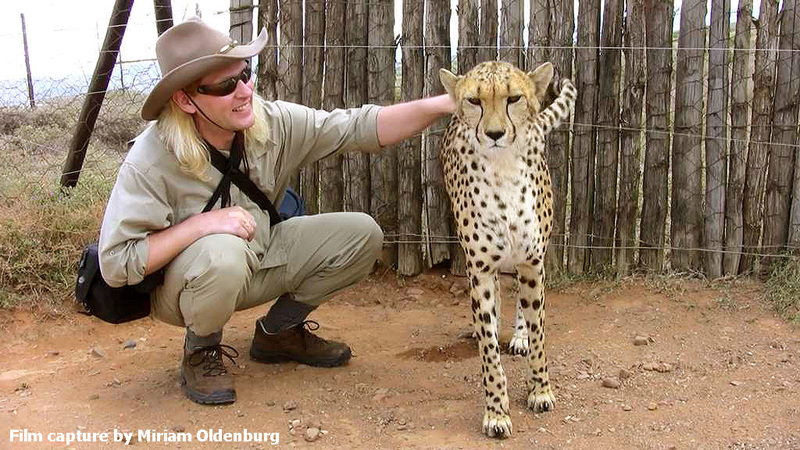 The following recording of a purring cheetah also appears on Robert Eklund’s websites devoted to ingressive speech and phonation, i.e. http://ingressivespeech.info/, and (actually the same exact site) http://ingressive.info/. Additional information on wildlife-related issues, as well as wildlife pictures can also be found in the Wildlife section (click on the ‘Wildlife’ button) on Robert Eklund’s homepage: http://roberteklund.info/. 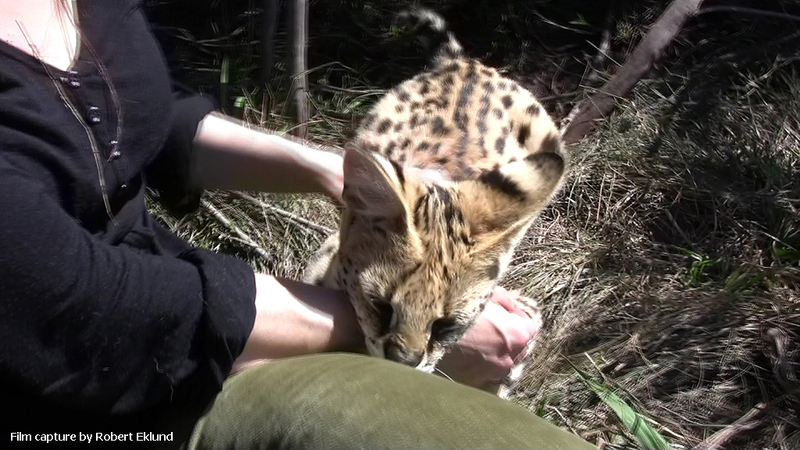 The following recording of a purring serval also appears on Robert Eklund’s websites devoted to ingressive speech and phonation, i.e. http://ingressivespeech.info/, and (actually the same exact site) http://ingressive.info/. Additional information on wildlife-related issues, as well as wildlife pictures can also be found in the Wildlife section (click on the ‘Wildlife’ button) on Robert Eklund’s homepage: http://roberteklund.info/. Since the only know example of a non-felid purring is the genet, a sound files is provided below. 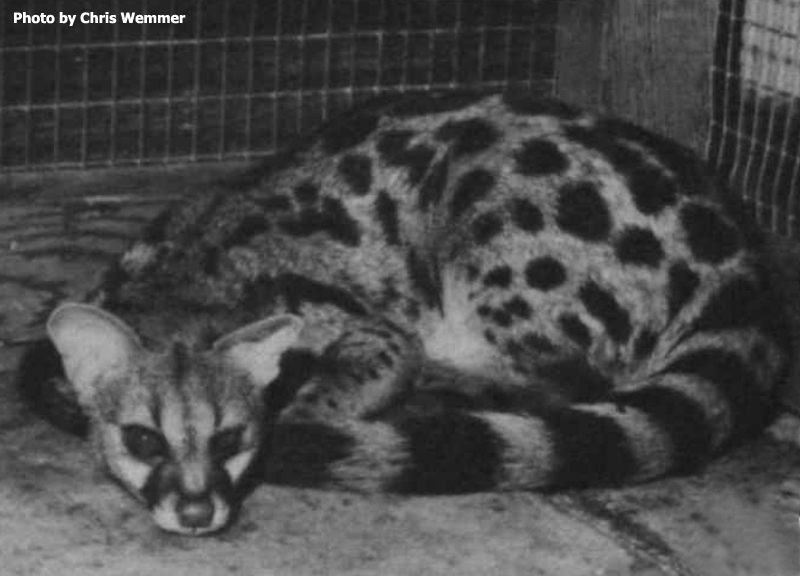 As is the case with the purring cheetah and the purring serval above, the following recording of a purring genet also appears on Robert Eklund’s websites devoted to ingressive speech and phonation, i.e. http://ingressivespeech.info/, and (actually the same exact site) http://ingressive.info/. Additional information on wildlife-related issues, as well as wildlife pictures can also be found in the Wildlife section (click on the ‘Wildlife’ button) on Robert Eklund’s homepage: http://roberteklund.info/. took the photo of the genet. Dr Wemmer has a blog here. Depending on the approach, the literature on purring is either surprisingly meager, or replete with scientific mentions. While several papers on various species of felids do include mentions of “purring” among the various vocalizations pertaining to a particular species of cat, very few papers are devoted to purring proper. Below I will try to list works that belong to the latter category, while other papers that simply mention purring “in passing” will be added intermittently. Note that this bibliography only includes scientific publications that has been published in journals on conference proceedings. This means that several sources are not included, e.g. articles in newspapers and similar. Also note that some of the papers below argue in favor of theories that have either been proven wrong (e.g. McCuiston, 1966) or have yet not been supported in any direct way by direct data or analysis (e.g. von Muggenthaler, 2001). There are several books on felids/wild cats available, ranging from very introductory ones (aimed at children) to extremely exhaustive, scientific surveys (e.g. Sunquist & Sunquist (2002), as well as books devoted to e.g. cheetahs. I have included several of these in the listing below. Psychological Review, vol. 41, pp. 424–449, see p. 445. Bazett, G. C. & W. G. Penfield. 1922. Brain: A Journal of Neurology, vol. 45, pp. 185–265. Beastly Behavior, vol. 78, p. 41. Delaware, OH: Columbus Zoological Park Association. A Cat’s Purr... On Purpose? Cat Fancy, vol. 16, pp. 20–41. Bradshaw, John & Charlotte Cameron-Beaumont. 1998 (2nd edition in 2000). In: Dennis C. Turner & Patrick Bateson (eds. ): The Domestic Cat. The biology of its behavior. Cambridge: Cambridge University Press, ch. 5, pp. 93–21. Brown, Kenneth A., Jennifer S. Buchwald, Judith R. Johnson & Dennis J. Mikolich. 1978. Developmental Psychobiology, vol. 11, no. 6, pp. 559–570. New York: Penguin Books, pp. 113–114. Science, vol. 144, pp. 555–556. ISBN 978-91-7519-582-7, eISBN 978-91-7519-579-7, ISSN 1403-2570, pp. 25–28. Proceedings of Fonetik 2012, Gothenburg University, May 30–June 1, 2012, Göteborg, Sweden, pp. 41–44. Proceedings of Fonetik 2010, Lund University, 2–4 June 2010, Lund, Sweden, pp. 17–22. Eldredge, Debra M., Delbert G. Carlson & Liisa D. Carlson. 2008 (third edition). Hoboken, New Jersey: Howell Book House. Frazer Sissom, Dawn E., D. A. Rice & G. Peters. 1991. Journal of Zoology, vol. 223,pp. 67–98. Gibbs, E. L. & F. A. Gibbs. 1936. The Journal of Comparative Neurology, vol. 64, pp. 209–211. Animal Behavior, vol. 27 pp. 726–736. Journal of Anatomy, vol. 163 pp. 117–121. Heffner, Rickye S. & Henry S. Heffner. 1985. Hearing Research, vol. 19, pp. 85–88. Mammalian Species, no. 20, pp. 1–5. PhD thesis, Veterinär-Medizinischen Fakultät der Universität Leipzig. Biologisches Zentralblatt, vol. 94,pp. 187–204. Teeling & Stephen J. O’Brien. 2006. Science, vol. 311, pp. 73–77. The Laryngoscope, vol. 103, issue 10, pp. 1197–1201. Kitchener, Andrew C., Blaire Van Valkenburgh & Nobuyuki Yamaguchi. 2010. Oxford: Oxford University Press, chapter 3, pp. 86–106. Kirkwood, P. A., T. A. Sears, D. Stagg & R. H. Westgaard. 1987. Brain Research, vol. 405, pp. 187–191. Cat Behavior. The Predatory and Social Behavior of Domestic and Wild Cats. New York & London: Garland STPM Press, pp. 225, 255, 256, 258, 293, 296. Säugetierkundliche Mitteilungen, vol. 4, pp. 123–125. Luschekin, Vitali S. & Kira V. Shuelikina. 1989. Developmental Psychobiology, vol. 22, no. 6, pp. 601–616. Veterinary Medicine and Small Animal Clinician, vol. 61,pp. 562–566. McComb, Karen, Anna M. Taylor, Christian Wilson & Benjamin D. Charlton. 2009. Current Biology, vol. 19, issue. 13, pp. R507–R508. MA Thesis, University of Nairobi, Kenya (299 pages). New York and Boston: Hachette Books. New York: Charles Scribner’s Sons, p. 229. The American Journal of Psychology, vol. 57, no. 2, pp. 184–205. London: Arrow Books Limited, pp. 15–17, 24–25. The felid purr: A healing mechanism? Journal of the Acoustical Society of America, vol. 110, no. 5, pt. 2, p. 2666. Neff, Nancy A. & Joseph E. Hind. 1982. New York: Abradale Press/Harry N. Abrams Inc., p. 20 et passim. Neff, William D. & Joseph E. Hind. 1955. The Journal of the Acoustical Society of America, vol. 27, no. 3, pp. 480–483. O’Brien, Stephen & Warren E. Johnson. 2007. Scientific American, July 2007, pp. 68–75. On the Anatomy of the Cheetah, Felis jubata, Schreb. Transactions of the Zoological Society of London, vol. 1, pp. 129–137. Mammal Review, vol. 32, no. 4, pp. 245–271. Säugetierkundliche Mitteilungen, vol. 29, pp. 30–37. Peters, Gustav, Megan Owen & Lynn Rogers. 2007. Acta Theriologica, vol. 52, no. 4, pp. 379–389. Peters, Gustav & Barbara A. Tonkin-Leyhausen. 1999. Journal of Mammalian Evolution, vol. 6, no. 2, pp. 129–159. Peters, G. & M. H. Hast. 1994. Zeitschrift für Säugetierkunde, vol. 59, pp. 315–330. vol. 28, series 8, pp. 222–229. PhD thesis, Humboldt Universität, Berlin, Germany. Reighard, Jacob & H. S. Jennings. 1901. New York: Henry Holt & Company, p. 264. Remmers, J. E. & H. Gautier. 1972. Respiration Physiology, vol. 16, pp. 351–361. Rouiller, E. & F. de Ribaupierre. 1982. Experimental Brain Research, vol. 48, pp. 323–326. Ruiz-Miranda, C. R., S. A. Wells, R. Golden & J. Seidenstecker. 1998. Zoo Biology, vol. 16, pp. 1–16. Royal Institute of Technology, Stockholm, Sweden, 8–10 June 2010, volume 51, pp. 9–12. Shipley, Carl, Edward C. Carterette & J. S. Buchwald. 1991. The Journal of the Acoustical Society of America, vol. 89, no. 2, pp. 902–909. Shipley, Carl, J. S. Buchwald & E. C. Carterette. 1988. Experimental Brain Research, vol. 69, 431–438. PhD thesis, Iowa State University of Science and Technology, Ames, Iowa, pp. 7–9. Archives of Neurology, vol. 12, no. 2, pp. 211–225. Smirnova, Darya S, Ilya A. Volodin, Tatyana S. Demina & Elena V. Volodina. 2016. PLoS ONE, 11(6), e0158546. doi:10.1371/journal.pone.0158546, pp. 1–20. Steinbacher, Georg. 1955 [date not printed]. Lux-Lesebogen, Murnau: Verlag Sebastian Lux, pp. 23–24. Stogdale, Lea & John B. Delack. 1985. Compendium on Continuing Education for the Practicing Veterinarian, vol. 7, no. 7, pp. 551–553. Stoeger-Horwath, Angela S. & Harald M. Schwammer. 2003.
International Zoo News, vol. 50/8, no. 529. Sunquist, Mel & Fiona Sunquist. 2002. Tabor, Roger. 1997 (2011 edition). Cincinatti, Ohio: David & Charles, pp. 88–89 (chapter “The Enigmatic Purr”). Taylor, David. 2004 (2005 edition). London: Cassell Illustrated, pp. 43, 45, 58. Weissengruber, G. E., G. Forstenpointner, S. Petzold, C. Zacha & S. Kneissl. 2008. In: H. Endo & R. Frey (eds. ): Anatomical Imaging, Tokyo: Springer, ch. 2, pp. 15–21. Weissengruber, G. E., G. Forstenpointner, G. Peters, A. Kübber-Heiss & W. T. Fitch. 2002. Journal of Anatomy, vol. 201, pp. 195–209. Search for Means of Assessing the State of Adult Animals. Entomological Review, vol. 80, Suppl. 2, pp. S368–S378. Click on the button below to go to Robert Eklund’s Home Page.